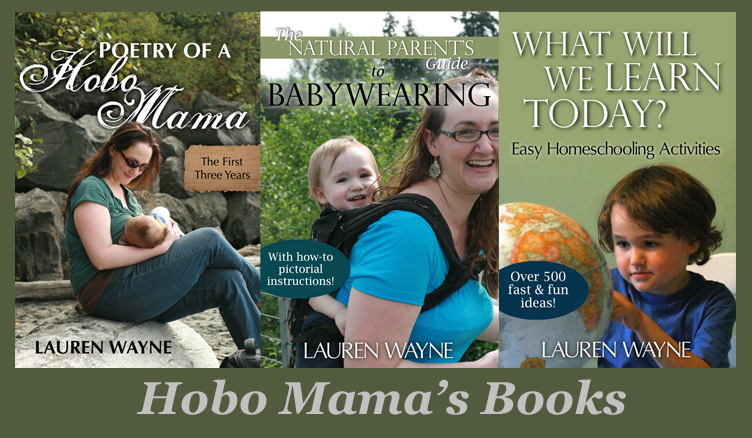 Hobo Mama Reviews: 50% off custom onesies at CafePress! This would be a fun idea for a stocking stuffer for your little one or a family member's. You could get a onesie declaring the wearer a rock star, a favorite niece or grandson, the big or little brother or sister, #4 in the sibling order, a proud military kid — or anything you can imagine to personalize it with. Baby onesies can look like tuxedos or kimonos, reflect heritage or interests, or proclaim a public service message (like "Body built by breast milk!"). Onesies run in sizes from 6 months to 2T, so you can get them for babies or toddlers. 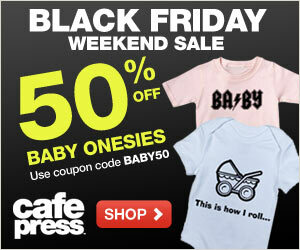 Save 50% off your order of all baby bodysuits from CafePress.com, excluding shipping charges, gift wrap charges and applicable sales tax. Excludes CafePress Groups purchases and bulk orders. Coupon code BABY50 must be entered at check out. Promotion starts on November 26, 2010, at 12:00 a.m. (PST) and ends on November 30, 2010, at 11:59 p.m. (PST). All orders must be from the CafePress Marketplace. Offer valid online at CafePress.com only and cannot be combined with any other coupons or promotions. In case anyone doesn't know, I breastfeed and know there's no "show" going on when you do it, which is why that tongue-in-cheek onesie cracked me up! You can craft your own smart-aleck remarks to amuse and educate onlookers while they're trapped by your baby's cuteness. Onesies as educational tools! Disclosure: Cafe Press links are affiliate links.